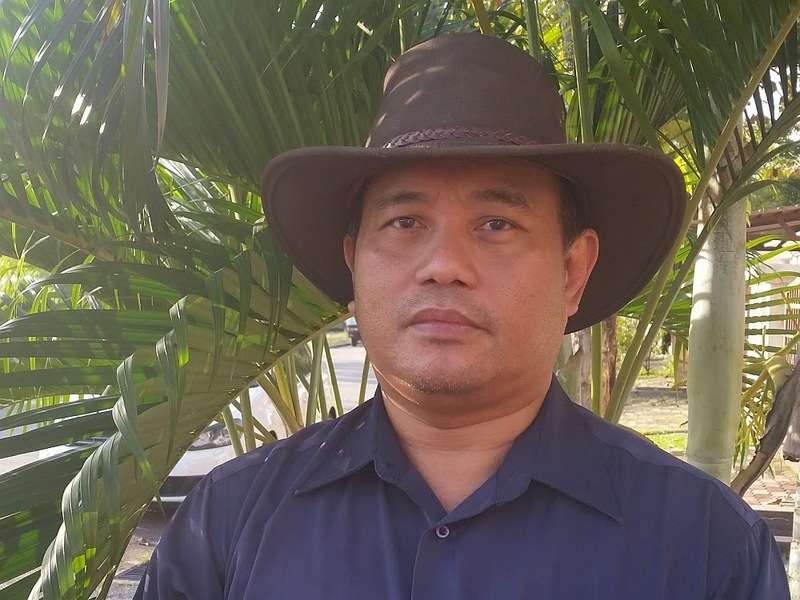 Update 20th June 2014. Plants battling the heat and trying hard to get it growing. I add some basic fertilizer to get these plant going, my intention is to get it use to the lowland heat and produce runners so that I can get new plants. These plants are isolated in my Ornamental set so any addition of fertilizer or supplement is mainly only for this set. 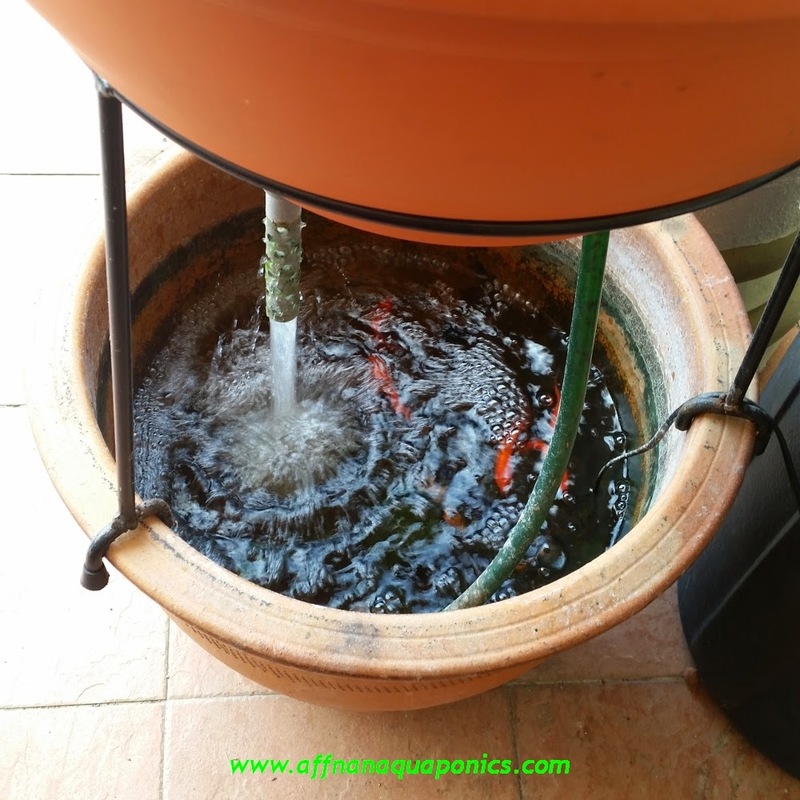 I use simple Chicken manure fertilizer since I do not want any chemical base that could cause problem to those fishes. 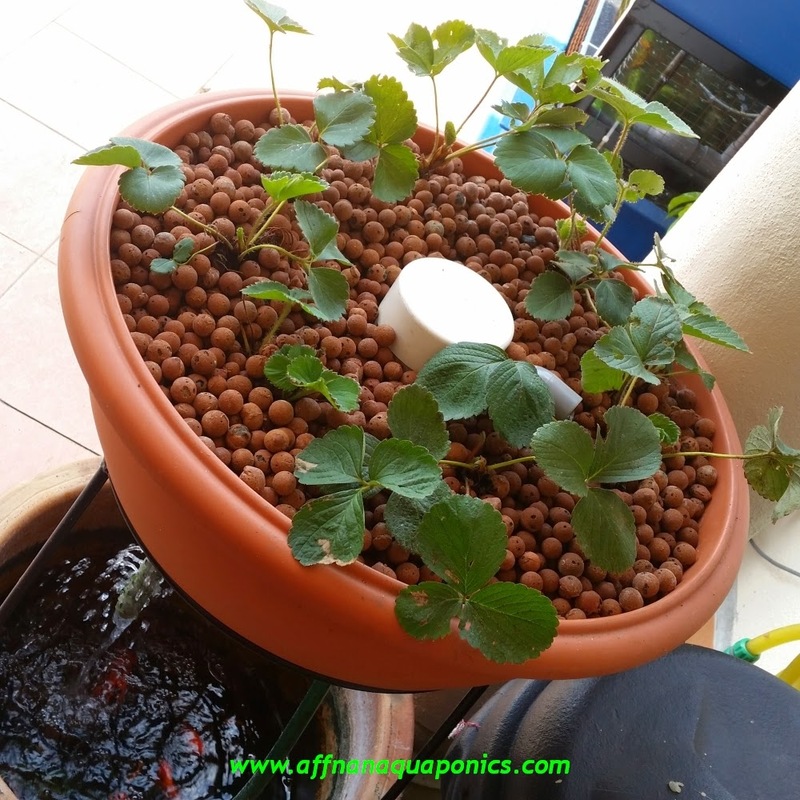 The fish use is not for consumption since this is an experiment and a trial to see whether I could succeed in getting these plant to grow in the low land. 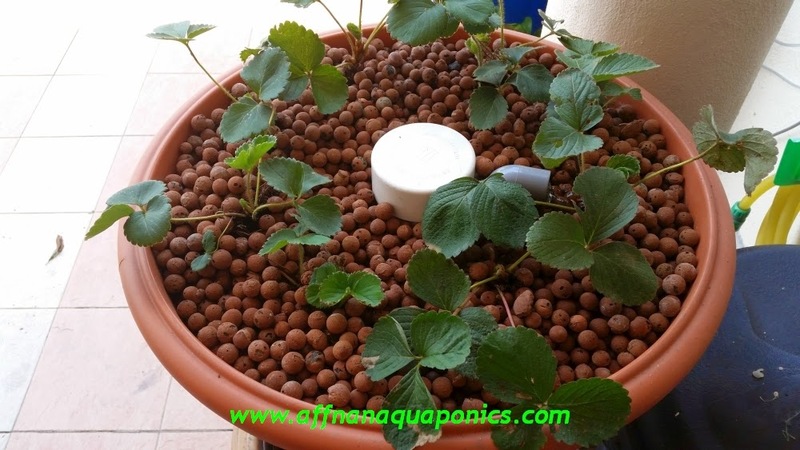 I use above fertilizer for this Strawberries and see what the outcome, I am not promoting any brand, its so happen this is in stock and at a very low cost. 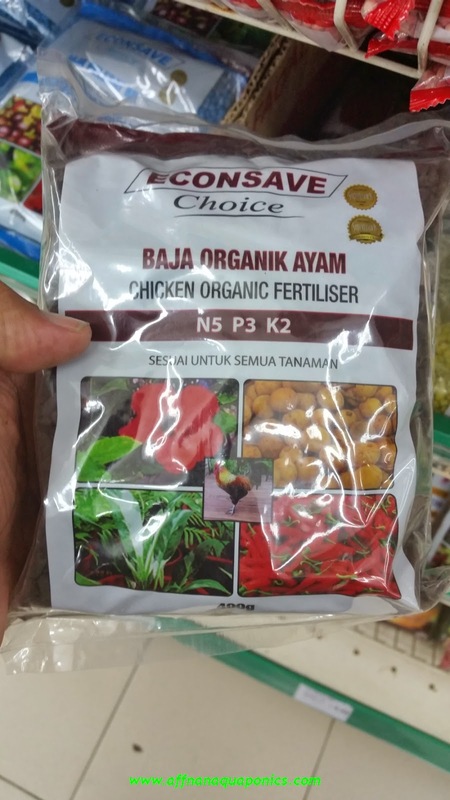 Reason for using this N5 P3 K2 fertilizer is that I do not want to have too much nitrogen in my aquaponics set. In fact with 5% Nitrogen it is already too much for the Aquaponics set. I add about a tea spoon for each plants and will repeat on condition but I would estimate every 45 days. I am also constantly monitoring the fishes to see if there are any side effect on them.